Elder Vernon L. (Poss) Hagans, age 63. He was born November 2, 1951 in Hazard, KY to the late Kathyrn Clayton and Alvin Hagans Jr. He went to be with The Lord on and Sunset February 10, 2015 in Columbus, OH. Vernon was raised in Hazard, Kentucky where he attended Carr Creek High School. He worked for the City of Columbus Park and Recreation. He was also employed by Rumpkie Sanitation. He was outgoing, funny, loved The Lord and was about taking care of business. When you needed him he was there for you. He loved his family and was devoted to family and friends. He touched so many lives even strangers. He will be missed but never forgotten. Elder Hagans was a former member of Solid Rock for many years and became a member of New Calvary Holiness Church on November 1, 2014 where he served on many boards including the Miniunder the leadership of Pastor Sanford McDonald. He was preceded in death by his parents Kathryn Clayton and Alvin Hagans Jr., sisters Alvetta Hagans and Patsy Vinny, and nephew Ryan Clayton. Left to cherish his memory, daughters Tonya Eggerson, Tanyotta McCauley, Shanell Bennett and Tiffany Hagans, son Alvin Hagan, 18 grandchildren, twin sister, Sharon Horton, sisters Deborah Cornett, Kathy (Bobby) Alexander and Sandra (Bobby) Christian,brothers James Christian and Darren Christian and a host of other relatives and friends. 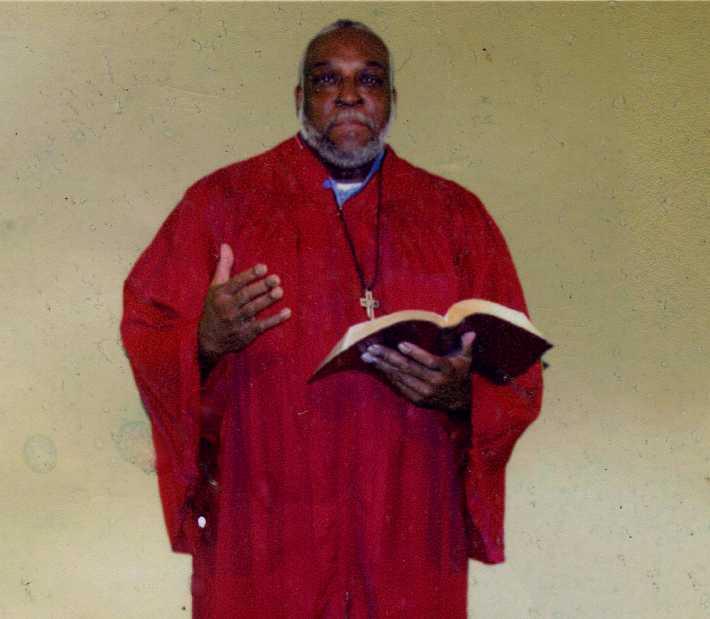 Visitation 11:00am and Funeral Wednesday February 18, 2015 at MARLAN J. GARY FUNERAL HOME, THE CHAPEL OF PEACE 2500 Cleveland Ave.